Fiction and fact merge effortlessly in this story of a teenage boy following every game of his beloved Aston Villa’s glorious 1980/81 season. As he turns 14 (one year for every Villa player used) his life begins to change in many unexpected ways. Taking you back to a time of; Star Soccer, Big Ron’s Albion, an Old Gold Andy Gray and Cloughie’s Forest. This is the book is a must for anyone who followed Midland football in the early 80’s. 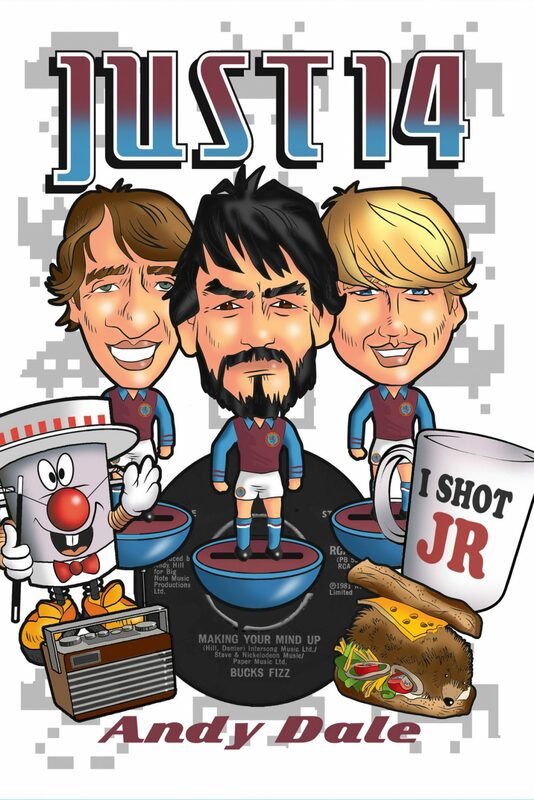 ‘Just 14’ really has it all; from the shooting of John Lennon, the ripping skirts of Bucks Fizz to a guest appearance from Pele this book will make you laugh, smile and probably even cry.